Right here, right now, in America’s fourth largest city, we get to experience the trans-Gulf migration of millions of songbirds, hawks, warblers, and countless other birds. Houston lies along the 95th meridian, which is the center of the main migration route of trans-Gulf migrant birds. 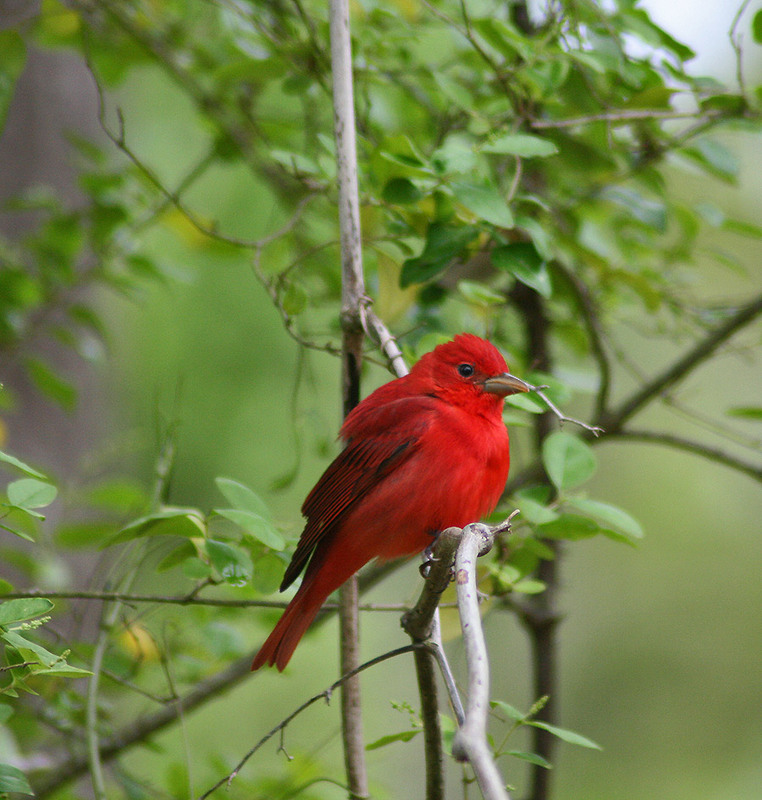 Birds who have been wintering in central and South America pass through southeast Texas on their way to their spring breeding grounds. These birds have just completed a 600 mile journey over the Gulf of Mexico, which in good weather could take 18 hours. The feat these migratory birds accomplish is incredible, and it makes for amazing bird watching opportunities! Purple Martins are well-loved for their beautiful colors, cheerful song, and tolerance of human activity. After spending the winter as far south as southern Brazil, these large swallows migrate to spring breeding colonies as far north as Canada – a journey of at least 5,000 miles. Males are deep purplish-black with an iridescent sheen, while females are gray with purplish heads and backs. Purple Martins prefer to nest and forage in open areas near water where they can find large, flying insects to eat. The pond at our Meadow is a great spot to look and listen for Purple Martins as they swoop and dive high overhead. 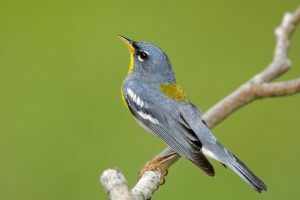 Northern Parulas are some of the most beautiful warblers in our area with their mix of orange, yellow, blue, and white. In spring, these tiny gems migrate 300-3,000 miles from Central America and the Caribbean to their breeding grounds in eastern North America. They are very picky about where they nest: mature stands of bottomland forest with plenty of Spanish moss. However, they are less picky about where they forage while on migration. 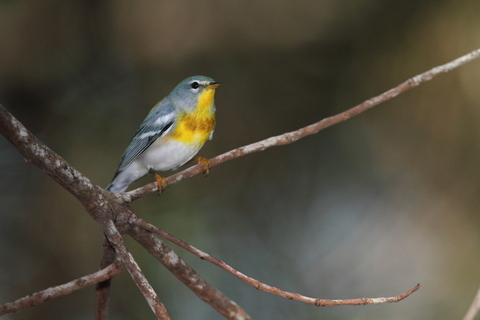 Look for these multicolored little birds high in the treetops as they search for tiny insects at the tips of branches. We are already starting to hear them at the Arboretum – listen for a rising, buzzy trill with a sharp final note. Ruby-throated Hummingbirds are true wonders of migration. After bulking up on their Central American wintering grounds, they weigh 6 grams – about the same as a quarter. However, when they finish their 500-mile, 20-hour journey north across the Gulf of Mexico, they have dropped to 2.5 grams – the weight of a penny. Hummingbirds begin arriving in Texas in early March. Some will stay here to breed, but others will continue as far north as eastern Canada. 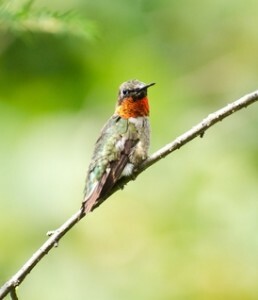 With their iridescent red and green colors and feisty personalities, Ruby-throated Hummingbirds are a joy to watch. Look for them along forest edges wherever there are plenty of flowers, like the Arboretum’s pollinator gardens. When migratory birds arrive in southeast Texas, they are exhausted and starving. They have traveled a long way across the Gulf of Mexico, and many species still have a long way to go to get to their northern spring breeding grounds. It is crucial for us to maintain healthy bird habitat in our increasingly urbanized region. We can help the birds by planting native species of flowers, shrubs, and trees to provide food and shelter. We can also provide water by putting out shallow bird baths and by keeping local ponds, streams, and bayous clean. If we all work together to make our backyards bird-friendly, we will provide the continuous corridors of green space that migrants need to travel.